Home Health Harm of the eggs. Are the eggs useful? The eggs were considered a quite unhealthy food, which was unsuitable for eating not so long ago because of high cholesterol. There was a limitation for the use of yolk (down to four per week). This limitation was later removed because there was a new research done and it turned out that cholesterol, which the eggs contain, isn’t bad for our organism at all, on the contrary, eggs are very useful in this regard to maintain the necessary cholesterol level. There’s an opinion that eggs raise cholesterol in the blood. Why is cholesterol dangerous? It’s being left on the vessel walls and it’s blocking them. This hinders the normal blood flow and causes the cardiovascular system’s disorders. However, it should be noted that cholesterol isn’t the harmful and dangerous matter, which needs to be avoided in the ration at all. Cholesterol is an integral part of our organism’s work. The liver produces about 5 g of cholesterol for the normal work of the organism. 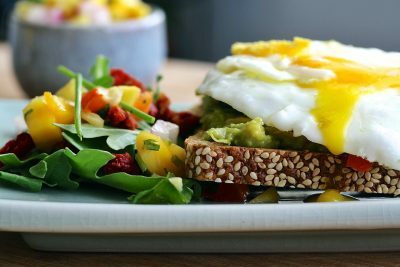 Besides, eggs, which really contain cholesterol in their yolks, also contain the phospholipids, which eliminate the negative consequences of the cholesterol. This myth is based on the fact that egg contains a big amount of cholesterol. Our liver is quite a workshop, where the cholesterol is being recycled and cleaned. But even if you fully exclude the cholesterol from your ration (which is impossible in case of adequate nutrition), the cholesterol will still be there in your organism. Because the liver produces 80% of a daily rate of cholesterol. It appears that liver works even more if it lacks the cholesterol from outside? Aside from the eggs, think how much cholesterol there is in the sausage, smoked chicken or in the piece of cake? This really negatively influences on the liver work. The egg is very nutritious, which is why many people made a conclusion that eggs provoke a weight gain. One egg contains 75 kcal. How much does the sandwich with sausage contain? About 200-250 kcal, I think. So you need to eat at least 5 eggs. Try to do it and you will understand that satiety of 5 eggs and satiety of 1 sandwich are very different things. The eggs contain a lot of protein and the protein is a main element to lose weight in any diet. Eggs provide satiety and usefulness and they not only don’t provide the weight gain, but on the contrary they provide its loss. On the contrary, raw eggs practically aren’t being digested in the stomach. Besides, if you eat raw eggs, you risk getting salmonella. 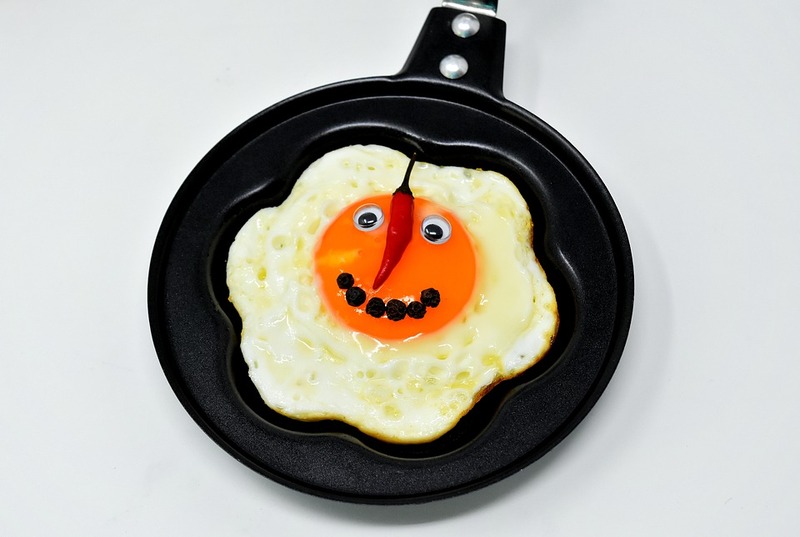 Of course, fried eggs on the butter or on the vegetable oil aren’t as useful as soft boiled or hard boiled, because they contain a lot of fats and carcinogens. The soft boiled eggs are the best for our organism. Fully healthy man, who leads healthy life and eats only useful food, shouldn’t seriously think of how many eggs he eats per week or per day. Of course, there are limitations. It would be stupid to eat 20 eggs per day and to feel good in so doing. Firstly, oversupply of protein negatively influences on the work of gastrointestinal tract and it can cause digestive problems or stool disorders. And there must be place in the daily ration not only for eggs, but also for cereals, fruits, vegetables, meat. Secondly, this person needs to be healthy. If you have liver or kidneys disturbances, then it would be wisely to cut down not only on eggs, but also on all the products with high cholesterol. 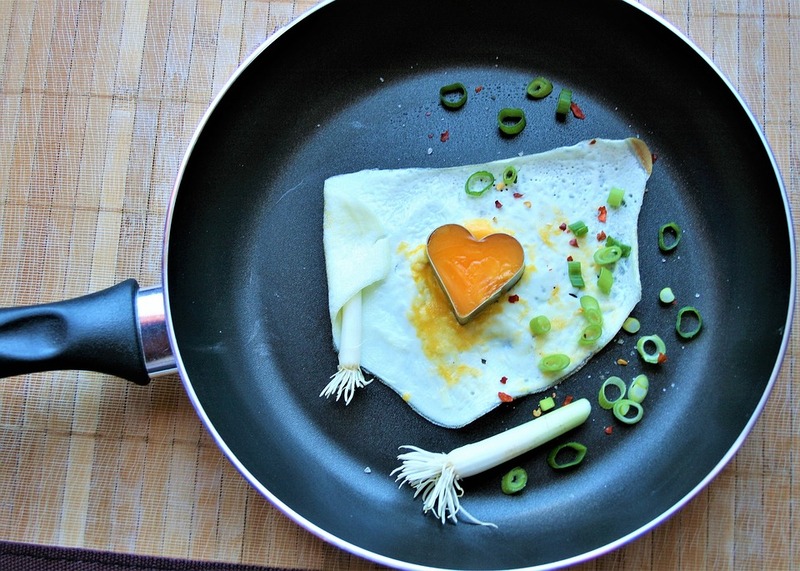 Cholesterol in 1 egg – 213 mg. Fat in 1 egg – 5 g.
Saturated fat – 1,5 g.
Vitamins: А, В1, В2, В6, В12, Е, D.
Glycemic index of the egg – 0 g.
So summarizing all that and getting to know some facts about eggs and their usefulness for the organism, let’s ask ourselves a question: «how many eggs can I eat per day?». Learning this theme, I couldn’t find the definitive answer to my question. Some people say that average man should eat 1-2 eggs per week at most. Other people claim that there are no limitations in eating eggs. No one doubts the usefulness of the eggs. Many things are said and written about that and the most important – it was verified by experiments. The eggs are really useful even if they have some side effects. So the question to eat the eggs or not to eat shouldn’t be considered. It’s necessary to eat eggs! Protein is a component, which is necessary and included in any diet and programs for the weight loss. This fact is undeniable. Protein nutrition really provides the weight loss. And taking into account the fact that my blog is dedicated to this exact topic, I vote for eating eggs to lose weight. If you wanna be slim – eat eggs! 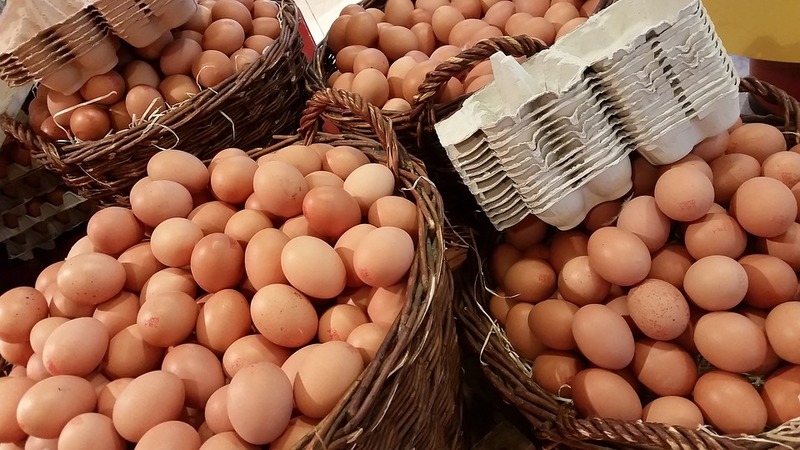 On average, a person eats about 200 eggs per year. Americans eat significantly smaller number of eggs – about 150 eggs, because they support non-cholesterol nutrition. Japanese set a record for the use of eggs per capita per year – about 350 eggs. Now recall, which of these nations suffer the heart diseases, adiposity, diabetes mellitus and other concomitant diseases? There’s only one conclusion you can make – if you wanna be healthy – eat eggs! All sportsmen are subjects to big physical activity. Their need for nourishment is higher than normal men’s. But the sportsman’s nutrition isn’t just extra calories, it’s also matters, which will have only positive impact on the organism. The egg is irreplaceable product in this case. Big amount of protein and nourishment, microelements are needed to restore the muscle mass. Sportsmen find all that in eggs. So if you’re a sportsman and you lead an active life, then eggs are the necessity! Whole white or whey protein? Some people claim that eggs in dark eggshell are more useful than in white one. Nevertheless, this is misconception because the color or eggshell depends on what chicken lays the egg. So one chicken cannot lay both dark and white eggs. Eggshell color is a lear of a future chicken. of vitamin D, which the chicken gets during the carrying the egg. The longer chicken was under the sun, the brighter will the yolk be. That’s exactly why domestic eggs almost always have the bright yolk. However, many producers now in order to please the buyers add special colorings in the chicken’s food, which have impact on the yolk color. Eggs have the shrinking property. The longer the egg was outside of the chicken, the lighter it becomes. Which is why some people determine the freshness of the egg by dint of container with water. The more it immersed into the water, the fresher it is. Only price influences on the egg’s size. Egg of higher category is significantly bigger than egg of 1 category. It’s possible that one chicken lays both these eggs. So the size of egg isn’t the indicator of its quality at all. The eggs are being better digested in the organism after the heat treatment. It’s wiser to eat eggs, which are soft boiled, i.e 2-3 minutes after the boiling. But you should eat these eggs right away. For eggs to be preserved to 2 weeks, they need to be hard boiled – 6-7 minutes after the boiling. 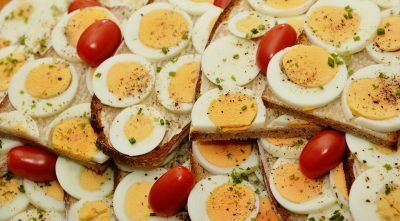 Soft boiled eggs are less useful than hard boiled ones because there is smaller amount of vitamins preserved. But this amount is so insignificant that people, who take vitamin and mineral complexes, shouldn’t think of it. You can and even should eat eggs. If you want to eat – eat eggs! If you worry about the cholesterol in your blood – do sport, it provides the lower level of cholesterol. I think the benefit from sport needn’t be mentioned.